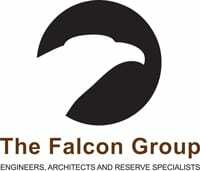 Project Engineers for HVAC Systems Renovations. TRC Engineering is a CAI Educated Business Partner and our employees are very active in volunteering for the Washington Metropolitan Chapter of CAI. Our Principal, Ted Ross has served on the Board of Directors for six years and has recently earned the Chapter’s Hall of Fame award in 2018. Elisabeth Kirk is a recipient of the Chapter’s Rising Star in 2018 and co-chairs the Chapter’s Public Outreach Committee as well as, the Watershed Sub-Committee. Since its inception, TRC Engineering has always been an active member with the chapter; participating in many committees, sponsoring several chapter events as well as contributing many articles for Quorum Magazine. Provide service that consistently exceeds our clients’ expectation. Lead the industry with quality standards and continuously monitor and improve the quality of our service. To enable Building Owners, Property Managers and Building Engineers to provide excellent facility service for their tenants and residents. We serve ethically, with a focus on developing and maintaining long-term client relationships. TRC Engineering is focused on being the industry leader in multi-family residential, commercial and industrial mechanical engineering services. We will continue to develop the services offered including troubleshooting, retro-fit engineering, pipe testing and more in these buildings. Integrity: Always treating our clients and colleagues in a fair manner; Gaining trust through our actions, including ensuring engineering and design integrity. Service: We are consistently driven to provide the best service for our clients’ needs. Respect: Respect within our team and for our clients will lead to a healthy working environment as well as team and client satisfaction. Knowledge: We place value in having our team be leaders and instructors and always growing our technical knowledge to meet the needs of our changing environment. Passion: Nurturing our team with a passion for providing the highest quality service to our clients. With over thirty years experience in the HOA market, we understand the needs of your clients as much as you do. We make sure that you look good for your clients. The HOA market is the largest segment of our business, unlike our competition, who dabble in this industry. We understand the particulars—the importance of timely notices, of showing up when we say we will show up, attending board meetings, and educating board members on all aspects of our business. Our job is to make sure that you look good to your customer, and we get that. We’ve been a member of CAI since 1985, and we’ve been a benefactor of WMCCAI for over 10 years. Reach out to us to schedule a 30 minute Lunch & Learn session, where we help you learn how to evaluate and maintain your asphalt and concrete needs. Company Name: Whiteford, Taylor & Preston, L.L.P. Services Provided: We advise clients on a broad range of corporate, litigation, technology and regulatory legal issues, both in the U.S. and abroad. In addition to our extensive representation of Community Associations, our clients range from Fortune 500 companies to small and medium enterprises to start-ups. They include businesses engaged in construction, finance, government contracts, higher education, health care, insurance, life sciences, manufacturing, nonprofits, real estate, securities, technology and transportation, among others. We help our clients arrange financial transactions, mergers and acquisitions and public offerings. Additionally, we advise companies and organizations of all sizes on tax, employment and real estate matters. Our litigation attorneys provide legal representation in court, arbitration and mediation, as well as before administrative agencies in a broad range of corporate, partnership, business and commercial disputes. Licenses Held: Our attorneys are admitted to practice before the state and federal courts of Delaware, the District of Columbia, Kentucky, Maryland, Michigan, New York, Pennsylvania, Virginia and a number of other states. Company Philosophy: Since 1933, clients have come to Whiteford, Taylor & Preston for trusted representation and guidance on issues critical to achieving their business goals. With over 170 attorneys in 16 offices, we serve clients throughout the mid-Atlantic, as well as nationally and internationally. We have a lean, entrepreneurial approach to the business of law, delivering legal services that are at once sophisticated and cost-effective. In addition, we have a long history of giving back to our communities through pro bono contributions of legal services, board service and financial donations. Community Association Underwriters of America Inc.
Areas you serve: Virginia, Maryland and Washington, D.C.
Corporate Associations: CAI, Insurance Agents & Brokers, Apartment Condominium and Townhouse Association, Community Association Management Executives Organization. Services Provided: CAU is one of the largest providers of community association insurance in the country. Our comprehensive insurance programs were designed specifically for residential and office condominiums, homeowners associations and cooperative apartments and include several coverage advantages that are either optional or simply not offered by other insurance policies. Licenses Held: Virginia, Maryland and Washington, D.C.
Company Philosophy: CAU was established to meet the unique insurance requirements of the community associations and has designed its policies to specially address community association concerns. We continue to be the nationally recognized industry leader by offering innovative coverage enhancements and risk management solutions while at the same time maintaining our commitment to quality service, prompt resolution of claims and efficient processing of customer service requests. As we approach our 30th year of service to community associations, our commitment to an unwavering standard of excellence remains the cornerstone of our relationship with our association customers. Services Provided: Turn-key operation for replacement windows, doors, siding and roofs. We offer renewable service/maintenance contracts to property managers for their buildings. Corporate Philosophy: Our philosophy and approach to business is to educate and guide you through the home improvement process. Our staff has many decades of field, trade and corporate experience and will help you make excellent and educated choices for your home improvements. We are committed to our customers and colleagues to ensure complete satisfaction throughout the life of your products. Our Mission: Windows Plus’s mission is to assist homeowners in making informed decisions for their home improvements. We are committed to excellence in our service and offer premium lines of products to ensure your satisfaction without sacrificing the integrity of the home. Licenses Held: Licensed in Virginia and D.C.
Company Philosophy: Assisting association clients with knowledgeable, thorough and creative counsel. Since 1990, Chadwick, Washington, Moriarty, Elmore & Bunn PC has provided comprehensive legal representation of community associations in Virginia and the District of Columbia, including homeowners associations, residential and commercial condominium associations, and housing cooperatives. The firm delivers wise, creative counsel to support an association’s ultimate goal—to run an efficient community that properly serves its members. Our lawyers provide guidance and assistance to boards and managers on the full array of issues facing community associations—such as covenant enforcement, covenant and bylaw interpretation, contract negotiation, amending governing documents and collecting delinquent assessments. We are also experienced in assisting new communities in transition from developer control and provide litigation services if needed. In addition, the firm is a leader on Virginia legislative issues and presents annual seminars to clients and managers regarding the latest developments in the law and other topics of interest. Hann & Hann Construction Services Inc.
Company Name: Hann & Hann Construction Services Inc.
Hann & Hann provides a consultative approach to the renovation, maintenance and general upkeep of your community. Founded in 1974 we have in-house expertise in painting, wall covering, carpentry, roofing, siding, concrete, lead abatement, and mold remediation, to name just a few of our strengths. Hann & Hann employs a team of highly-skilled professionals ranging from ownership through management into our production staff proudly providing services to HOA’s, Condominiums, and Co-ops. Hann & Hann has extensive experience in lead abatement and the risk containment for residents through the abatement process and continually train our personnel. With credentials in MD, VA, and D.C. and differences in each jurisdiction, we stay diligent in our continued education of our personnel due to the evolving best practices. With decades of experience in the condominium market, we are poised to continue assisting communities in the Metro D.C. region with their maintenance, repairs, renovations, and remodeling of any interior or exterior need. Our staff is accustomed to working in occupied spaces and makes every effort to reduce the inconvenience felt by residents.